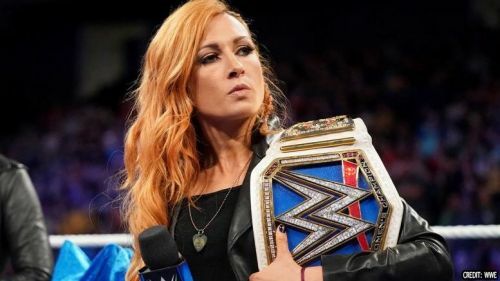 WWE News: Becky Lynch documentary in the works? It seems as though Becky Lynch may have a documentary in the works by the WWE in the near future. Becky Lynch is without a doubt the most popular WWE Superstar on the women's roster, bar none. As her star continues to shine brightly, so does her in-ring excellence and her growing fan support from the WWE Universe. Lynch is a two time WWE SmackDown Live Women's Champion. She Lynch recently made her return to SmackDown Live since suffering a broken nose and severe concussion at the hands of Nia Jax just days before the Survivor Series, this past November. She has not wrestled a match since then, but her presence has most certainly been felt on recent episodes of SmackDown Live leading into her triple threat match with Asuka and Charlotte Flair heading into WWE TLC, this Sunday night. As reported by WrestlingINC, with the original report coming out of The Wrestling Observer, the word going around is that WWE is currently filming a documentary on Becky Lynch. At this time, no word has been made on whether this will be a WWE Network special or a WWE 24/7 feature. She made an appearance on the "MMA Show" featuring Ariel Helwani, where she discussed how the nickname of "The Man" came about, along with author Paul O'Brien being mentioned. "'The Man', so I throw a lot of stuff around. I have a friend back home and we throw a lot of stuff around and we often talk about mindset, right? And about confidence and about being 'The Man'. So my friend, Paul O'Brien, and I, we would always talk back and forth. He would say, 'The Man', and I would say, 'I am 'The Man,'' so I started to believe that I am 'The Man' and so I started to throw that out there." Lynch said, "now everybody knows I'm 'The Man'." Becky Lynch will defend her SmackDown Live Women's Championship against Asuka and Charlotte Flair this Sunday night at WWE TLC. The event will be airing live on the WWE Network starting at 6:30pm (EST) with the kickoff pre-show. Are you excited and looking forward to seeing Becky Lynch's documentary? Let us know in the comments below. As always, be sure to check in with Sportskeeda for all the latest news and results!